Size: approx. 10-12 mm. Photo: 04/09/12, 10 pm. 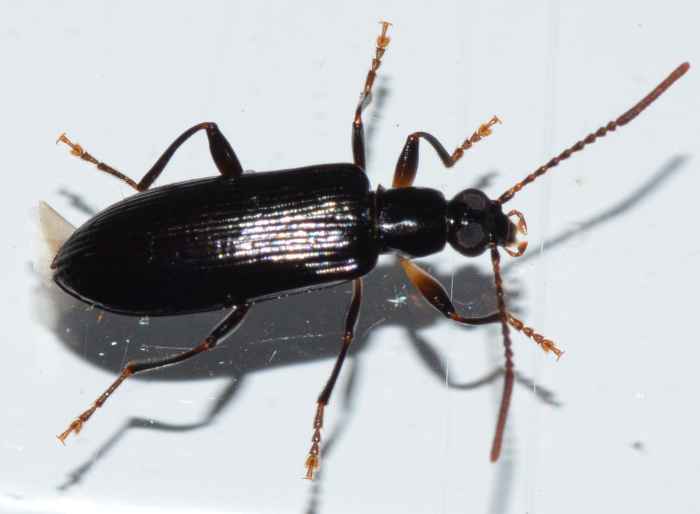 This long-jointed beetle is Statira basalis. It can be found mainly in the Southern states and Texas and seemingly is most frequent during the spring months. The genus has 15 species in the US. S. basalis can be identified by the pale yellow color of the basal half of their femora and coxae.